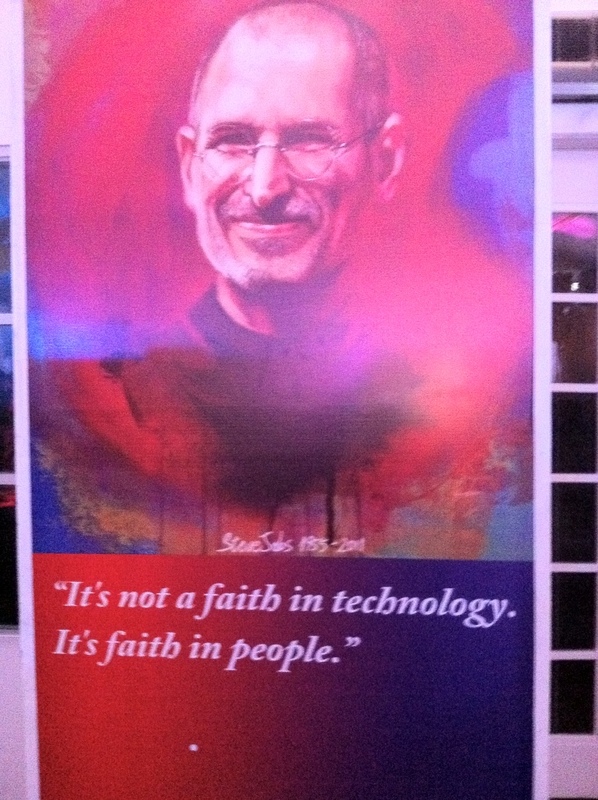 The venue was sleek and minimalist, with photos and famous Steve Jobs quotes all around. 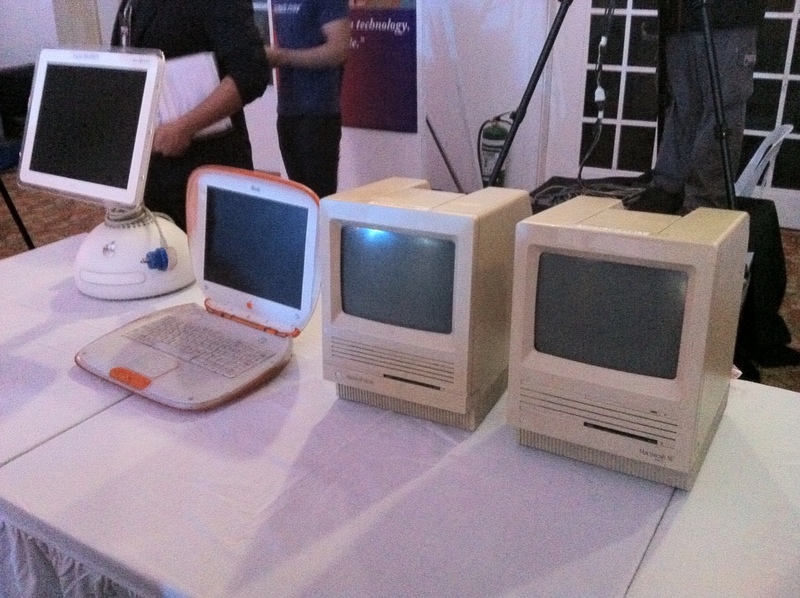 There were some “antique” Macs on display, displaying the impressive evolution of Apple’s computer line. On top of a free and filling North Park dinner, there were some alcoholic drinks to go around. There were trivia contests to gauge how well contestants knew Jobs, Apple and geek stuff in general, and actresses Cherie Gil and Mylene Dizon gamely did some game show hosting. As expected, iPads and iPhones all played a prominent role – from versatile answer slate to mobile documentation. 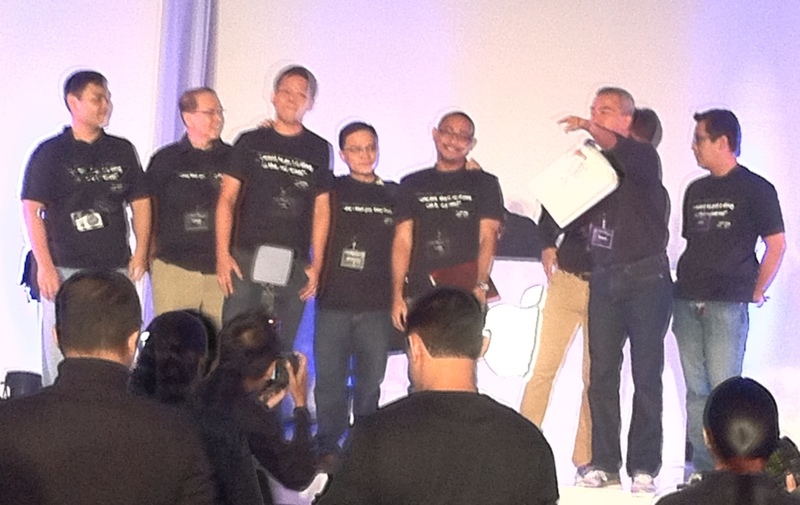 Prizes such as Globe’s mifi router were given away – an iPhone 4 is still up for grabs. Free Steve Jobs shirts courtesy of Digital Walker were also given away – too bad I wasn’t able to get one! 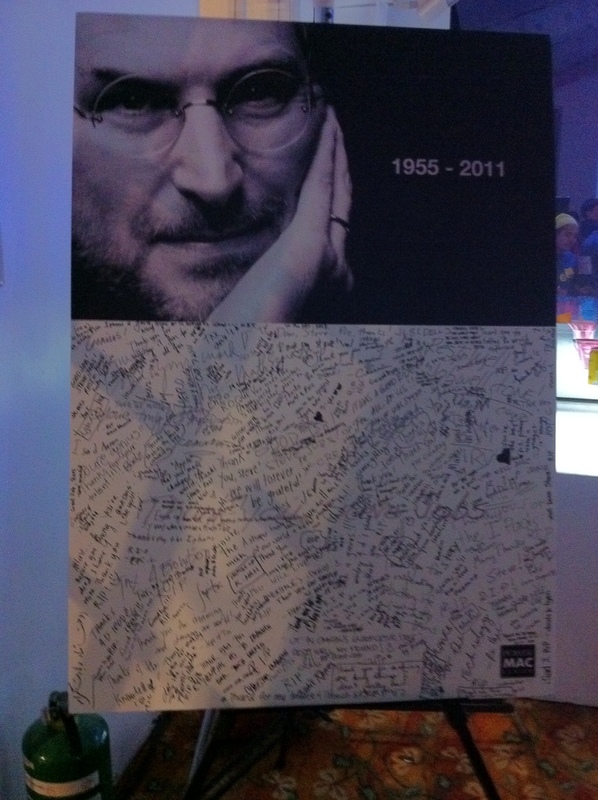 The highlight of the event was the tribute to Steve Jobs himself. 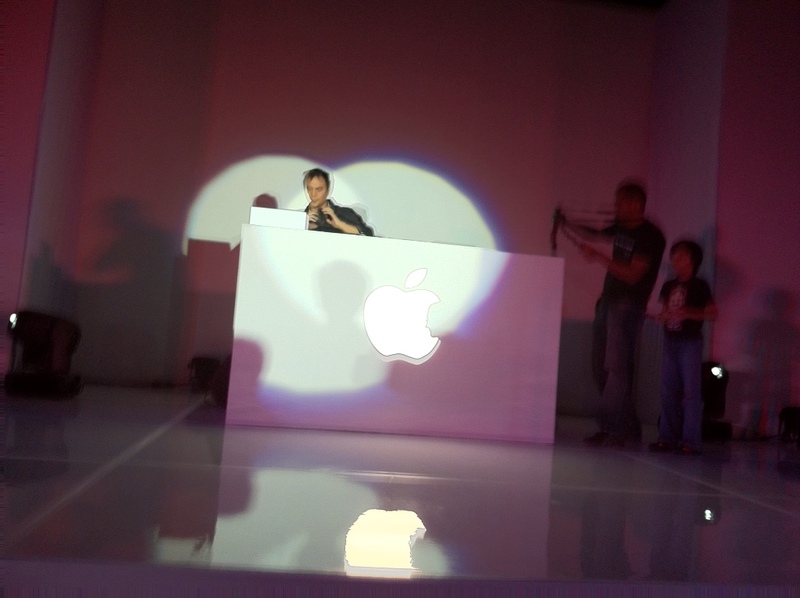 The lights were turned down, and John Lennon’s Imagine played in the background while Pinoy Mac users and Apple lovers raised their iPhones and iPads to Steve Jobs. 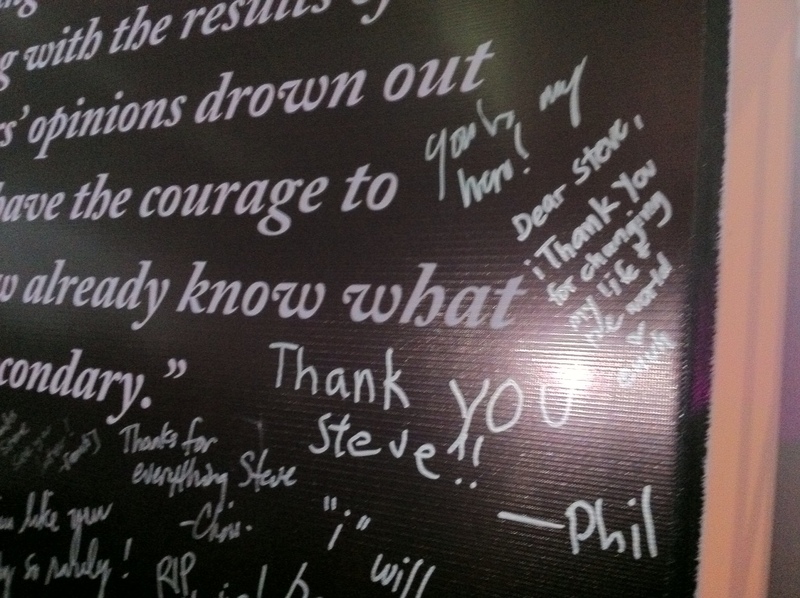 There have been many accolades to Steve Jobs, but it’s the small thank you notes, I believe, that would have made him smile. 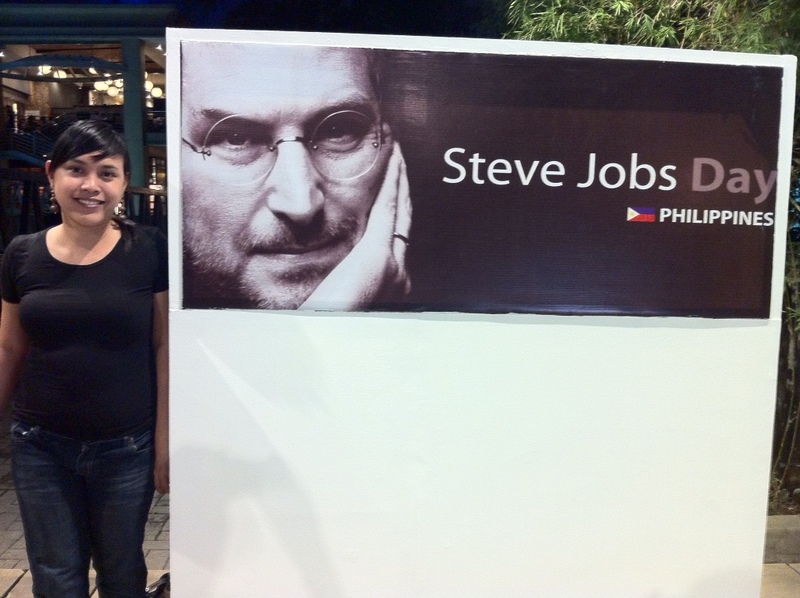 Here’s to Steve Jobs, and his impact on the Philippines. 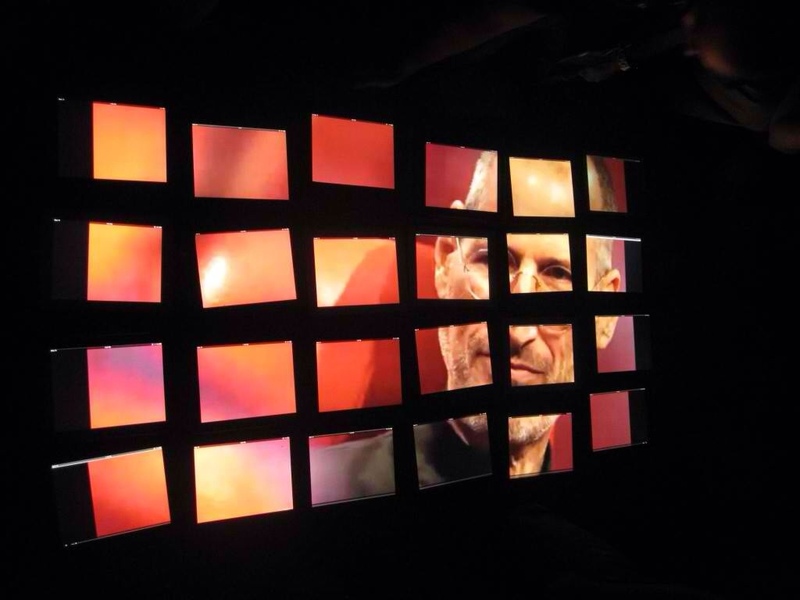 Thank you for bringing some Apple love to our distant shores, Mr. Jobs.